A visionary 60-acre city designed around a vibrant 5-acre inspirational park destined to transform how Metro Vancouver lives. 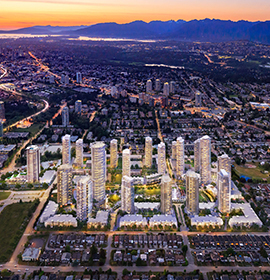 Inspired by Ledingham McAllister’s vision of an inclusive city, where generations will connect with one another and their neighbours, Southgate City will be the largest master-planned development in BC and Canada’s most livable community. An unprecedented opportunity to revolutionize the way you live is coming soon.